Forty years of research shows that social investments in women reduce poverty, raise productivity and accelerate economic growth. This Fund will encourage women to build on their strengths and increase self-worth. In addition, a higher level of self-esteem will be passed along to future generations. The Women Working Wonders Fund will support organizations and activities that contribute to leadership development in girls and women. The Women Working Wonders Fund will support environmental beautification projects that provide a platform for women to showcase their commitment to maintaining the distinct character of their community. The Women Working Wonders Fund is a component fund of the Greater Lowell Community Foundation. Women Working Wonders just made 15 years of history! What began as a small group of women coming together to found a collective giving organization focused on women’s issues has grown to an endowment of fund over $800,000 that has made 36 grants of $5000 each in the Greater Lowell area. We are at a critical point in the development of WWW. We celebrate our past successes, our present good fortune and look to the future of women in philanthropy. In order to ensure the future success of WWW and provide the means by which young women can engage actively and meaningfully in philanthropy, we are embarking on a campaign to grow our endowment fund to the $1 million mark. As part of the 15th Anniversary Crystal Campaign, Nancy Donahue has generously offered a $50,000 matching challenge. We hope that you will join us in meeting the challenge. We look forward to celebrating 15 years of women in philanthropy! the Power of the Purse …plus! 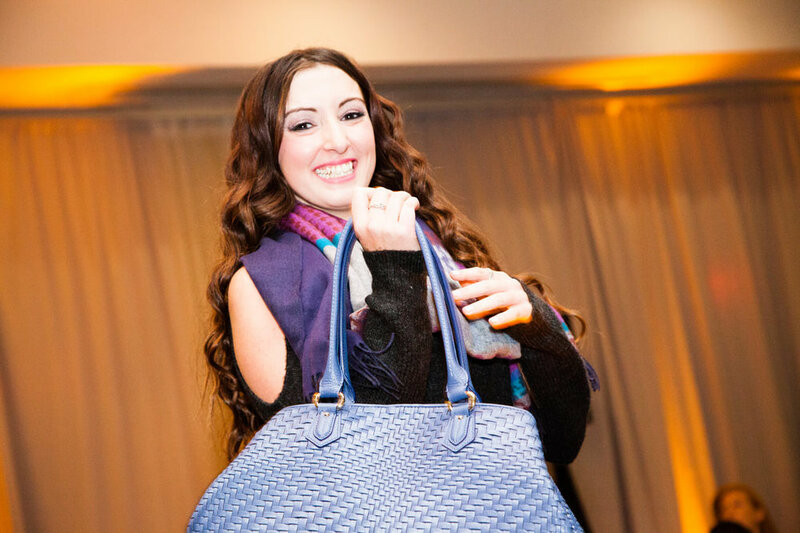 In October of each year, the WWW Fund hosts our signature “Power of the Purse Plus” event, featuring live and silent auctions, designer cocktails, hors d'oeuvres, a buffet dinner, and — of course — everyone’s favorite accessory: purses! The "Plus" in this year's event was the opportunity to bid on fabulous high-end accessories, including sunglasses, jewelry, and more. It was, as always, the “don’t miss” event of the season! Power of the Purse Plus raises funds for grants to empower women and girls. This year the WWW Fund is pleased to offer four $5,000 grants to area nonprofits to fund programs that assist women in transition, provide leadership development in girls, and contribute to the beautification of the environment. WWWF has distributed twenty grants since our inception in 2004, creating positive change in countless lives! Over the past thirteen years, the Women Working Wonders Fund has benefited from collaborative partnerships with the Hunt Alternatives Fund, Bloomingdale’s, and Lowell Sun Charities to present events that have raised funds and awareness of our mission and the incredible work of women in philanthropy and community service. Thank you to our fabulous 2018 sponsors! The vision of the Women Working Wonders Fund at the Greater Lowell Community Foundation is to advance the contributions of women and girls in the community and empower them to effect positive change. Through the power of collective philanthropy, the Women Working Wonders Fund is pleased to award grants to programs and projects that assist women in transition, provide leadership development in girls and women, and/or contribute to the beautification of the environment. Planning and implementing fundraising projects that provide a vehicle for financial program support for women and girls. Since our inception, WWWF has awarded 20 grants and created positive change in the lives of countless women and girls.